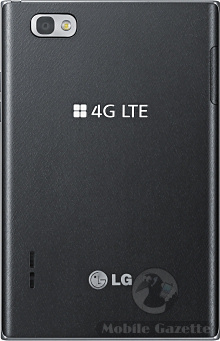 The forthcoming LG Optimus Vu joins the Samsung Galaxy Note in the category of devices that are halfway between tablets and smartphones, in this case sporting a large 5" display and a very large 2080 mAh battery. We don't really know what to call this category of half-tablet half-smartphone. Tabphone? Smablet? Tartlet? Nor do we know if there's much of a market for a device that lacks the convenience of a tablet's large screen but is still slightly too big for most people to use as a phone. Anyway, the LG Optimus Vu is an impressively powerful beast. 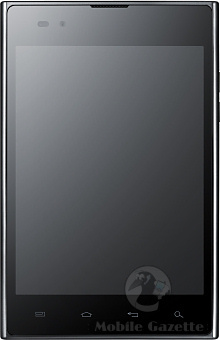 Inside is a 1.5GHz dual-core processor coupled with 1GB of RAM and 32GB of on-board flash memory. On the back is an 8 megapixel camera with autofocus and an LED flash, plus a 1.3 megapixel one on the front for video calling. The display is a 5" 1024 x 768 pixel panel in a 4:3 ratio, which is more like the iPad than its Samsung rival which has a ratio closer to a smartphone. You can use the display either with a finger or with a stylus (with the slightly ridiculous name of the "Rubberdium pen"). The screen uses LG's IPS technology for brighter colours and improved visibility under direct sunlight. Out of the box, the LG Optimus Vu will run Android 2.3 with some LG enhancements and there is an upgrade to Android 4.0 (Ice Cream Sandwich) in the works. It's quite a large device at 140 x 90 x 8.5mm. It's about 10% smaller by volume than the Galaxy Note (which has a slightly bigger display) and although no weight was given, we would guess that the Optimus Vu weighs in at around 160 grams. At the moment, the LG Optimus Vu is heading to Korea only in a 4G LTE version, although we strongly suspect that a future version will be produced that will compete head-to-head with its Samsung rival in other markets. The Optimus Vu should be available in Korea from March onwards. No guidance was given on price.